In 2011, PetSafe® brand launched its nationwide Bark for Your Park program to help communities build their own off-leash dog parks. 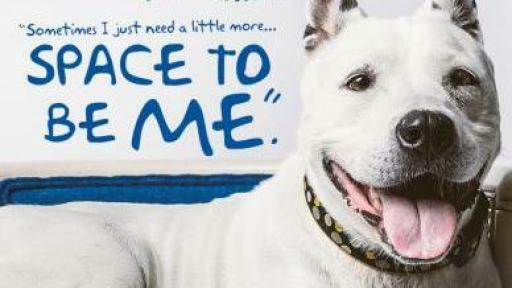 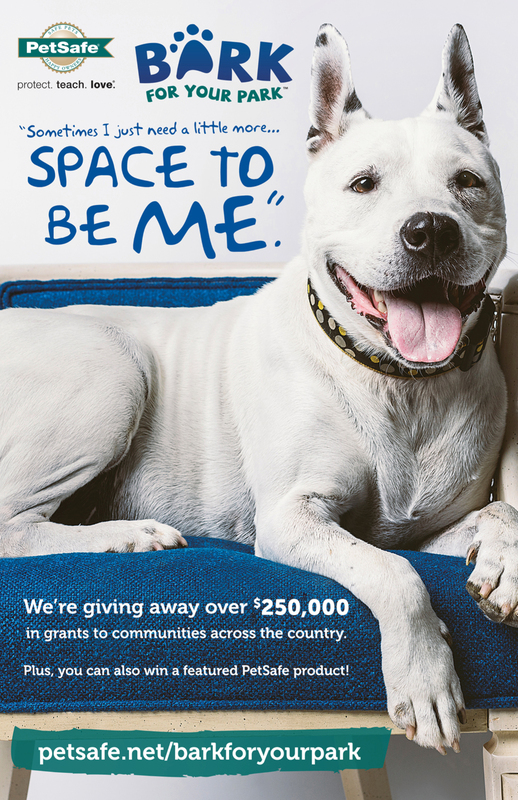 In order to help even more communities this year, PetSafe brand is restructuring the contest into a grant-giving program and increasing the number of awards from five to 25. 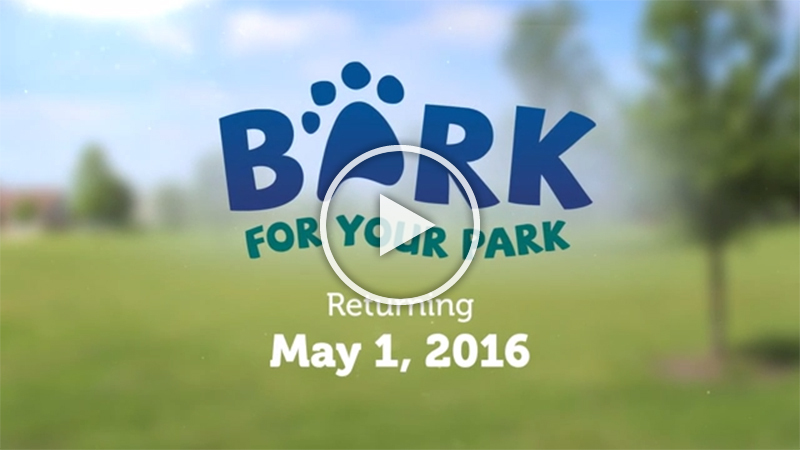 Communities can submit a grant application now through June 30, 2016 on www.petsafe.net/barkforyourpark. 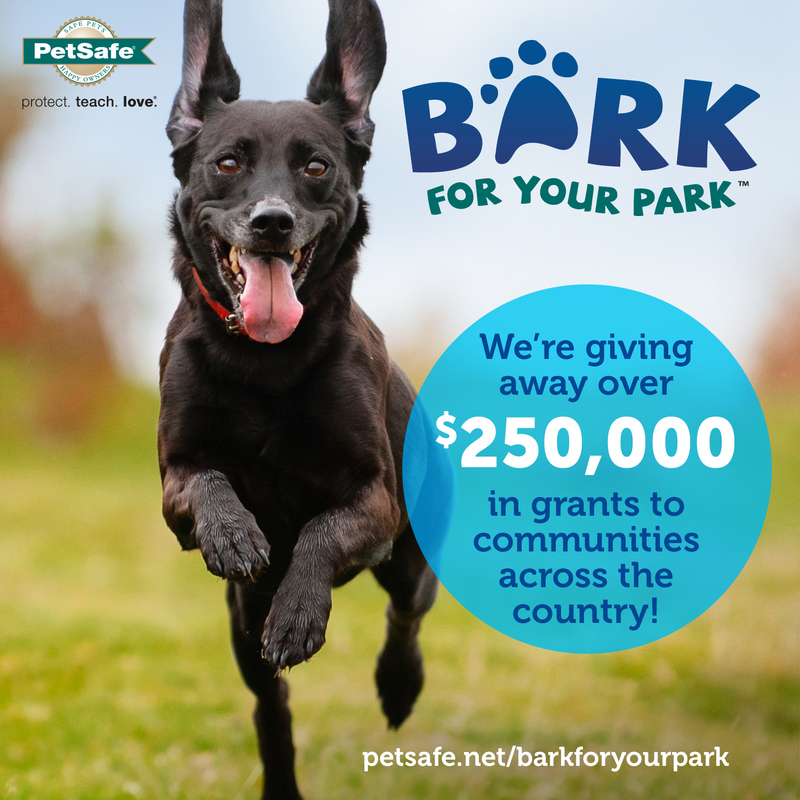 The applications will be reviewed by an internal committee and PetSafe brand will award five new park grants valuing $25,000 each, 10 park makeover grants valuing $10,000 each, and 10 park maintenance grants valuing $5,000 each. 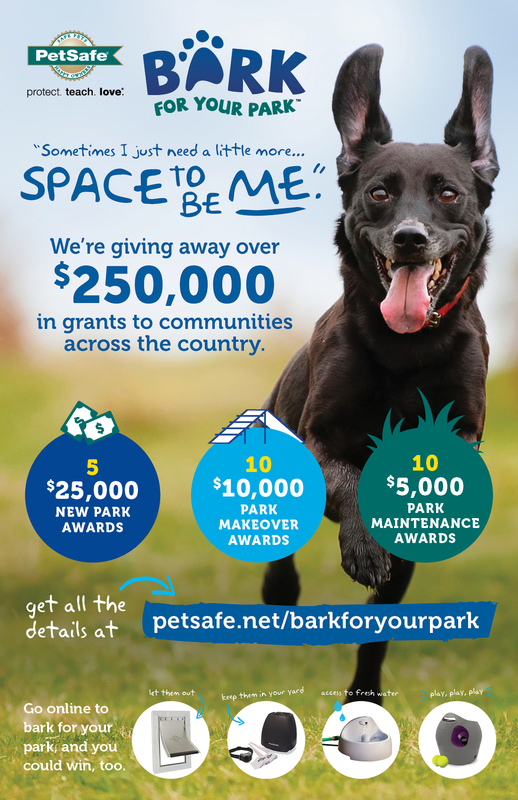 This year’s award recipients will receive a combination of funds and commercial-grade dog park equipment from UltraSite, a PlayCore Company. 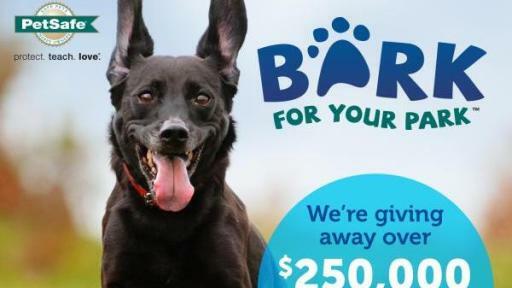 The winning communities will be announced over a 5-week period during August through September. 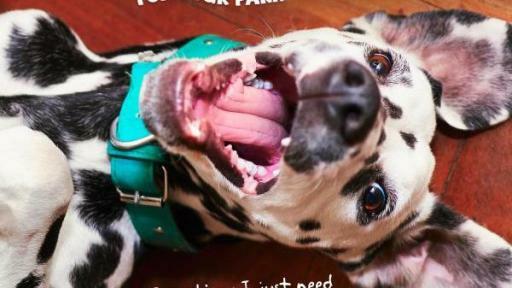 Win a Featured PetSafe® Product! 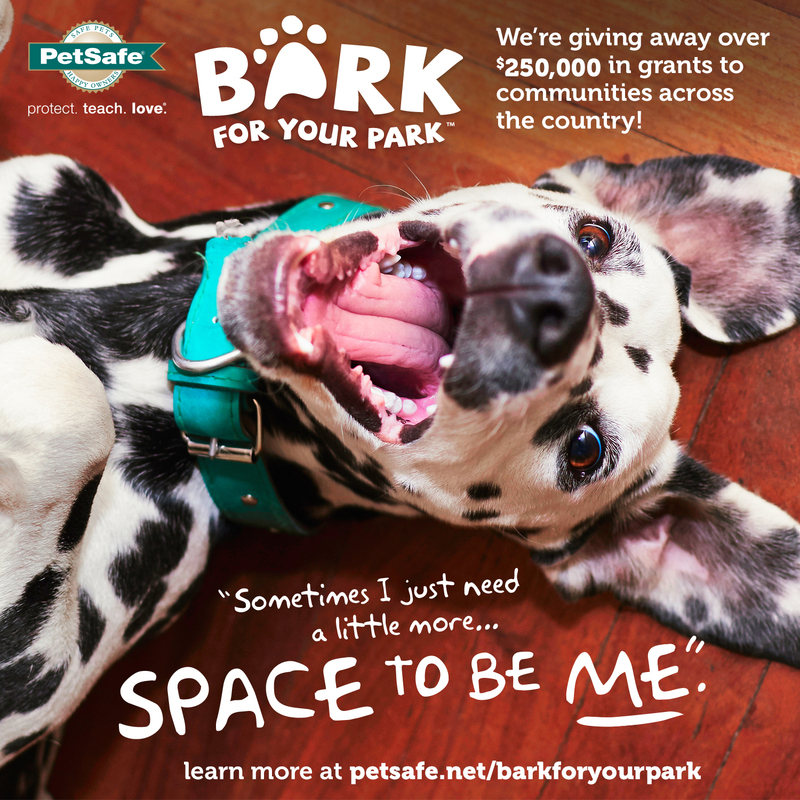 Aside from the financial support, PetSafe brand’s Bark for Your Park program has been credited with bringing together entire communities and fostering a bond that lasts long beyond the construction of the dog park. 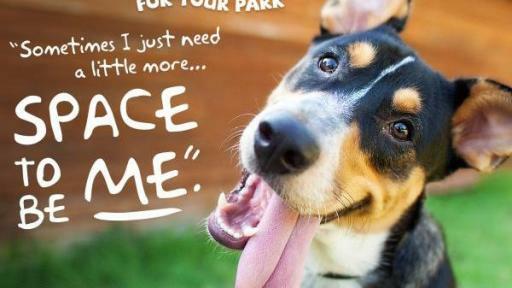 For more information about the PetSafe Bark for Your Park program, please visit www.petsafe.net/barkforyourpark. 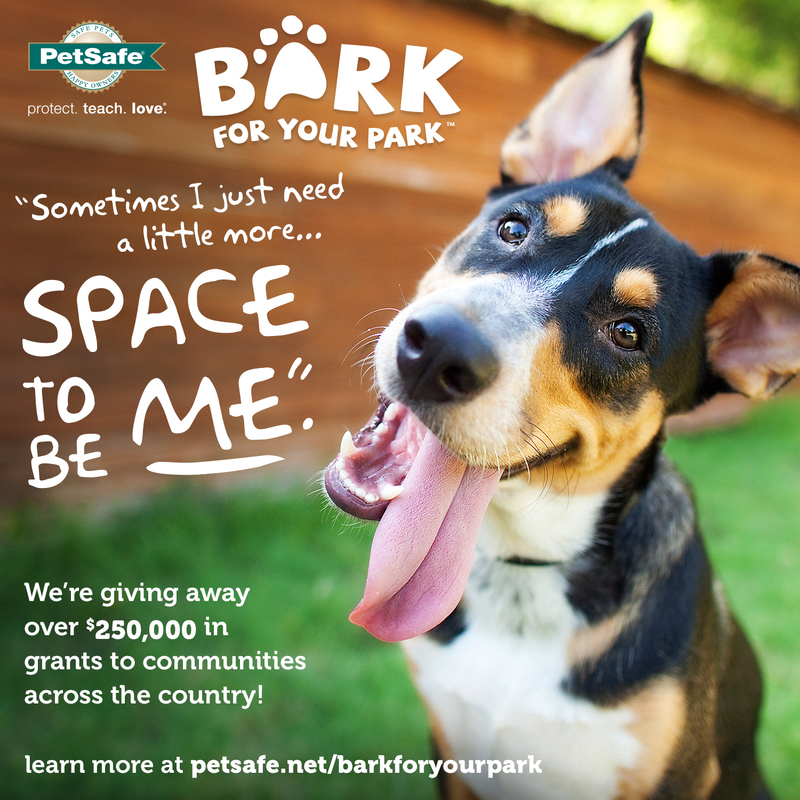 PetSafe® brand is an industry leader in the development of innovative pet behavioral, containment and lifestyle product solutions. 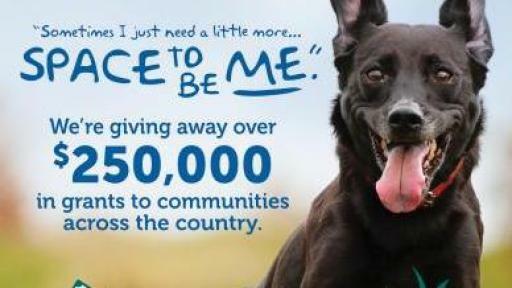 PetSafe® brand is owned by Radio Systems Corporation and headquartered in Knoxville, Tenn. For more information, please visit www.petsafe.net or connect with us on Facebook and Twitter.